The blockchain is widely heralded as the new internet - another dimension in an ever-faster, ever-more-powerful interlocking of ideas, actions and values. Principally the blockchain is a ledger distributed across a large array of machines that enables digital ownership and exchange without a central administering body. Within the arts it has profound implications as both a means of organising and distributing material, and as a new subject and medium for artistic exploration. 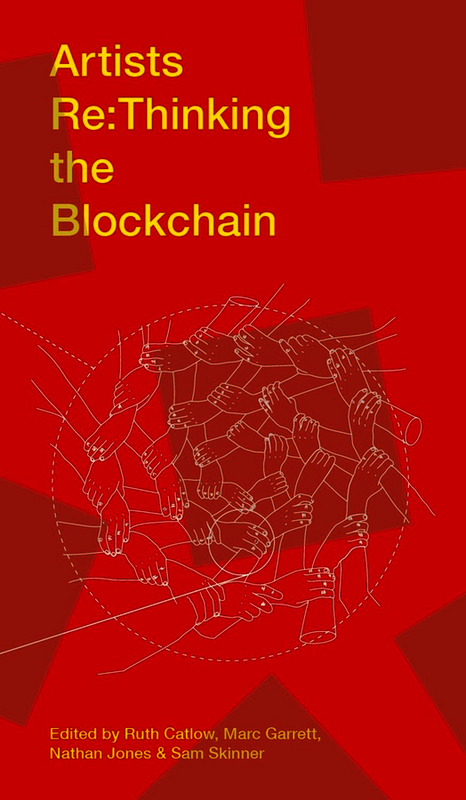 This landmark publication brings together a diverse array of artists and researchers engaged with the blockchain, unpacking, critiquing and marking the arrival of it on the cultural landscape for a broad readership across the arts and humanities. Ruth Catlow is a net artist, and co-Founder and co-Director of Furtherfield. She is involved in research into net art and cultural context on the internet and co-curates featured works on furtherfield.org and HTTP Gallery, London. Marc Garrett is an internet artist, writer and curator. He is co-Founder and co-Director of Furtherfield/HTTP Gallery, London, and is one of Furtherfield’s principal researchers into net art and cultural context on the internet. Nathan Jones is a poet, curator. Currently: Reid cross-disciplinary PhD scholar in Literature and Media at Royal Holloway University of London; associate Lecturer Fine Art Liverpool John Moores; and co-director of Torque Editions a hybrid publishing project and research platform. Sam Skinner is an independent artist, researcher and curator. Recent projects include: co-curation of The New Observatory at FACT, Liverpool in collaboration with the Open Data Institute; Research Associate at Kingston School of Art; and co-director of Torque Editions.